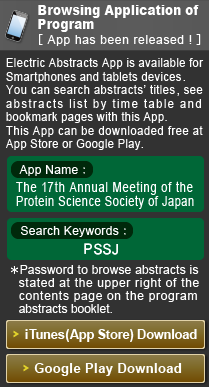 Browsing app of program & abstract has been released. All Program has been updated. Registaration has been extended (until May 12 (Fri)). Instructions for Chairs and Presenters has been updated. Abstract Submisson (Poster, Poster Award) has been closed. Abstract Submission (Young Scientist Award) has been closed. Floor map & Nursery Room has been updated. Abstract Submission, Registration has been opened. Abstract Submission, Registration has been updated. Call for oral presentations in workshops, Young Scientist Award Poster Award has been updated. 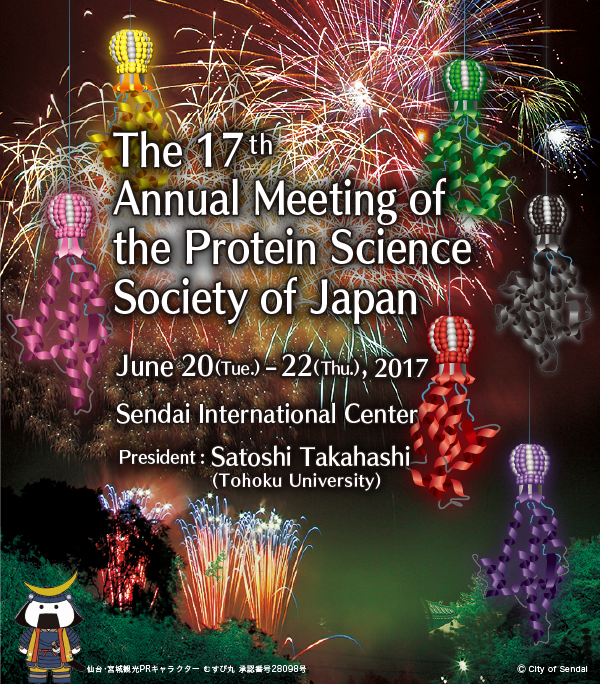 Copyright © The 17th Annual Meeting of the Protein Science Society of Japan All Rights Reserved.